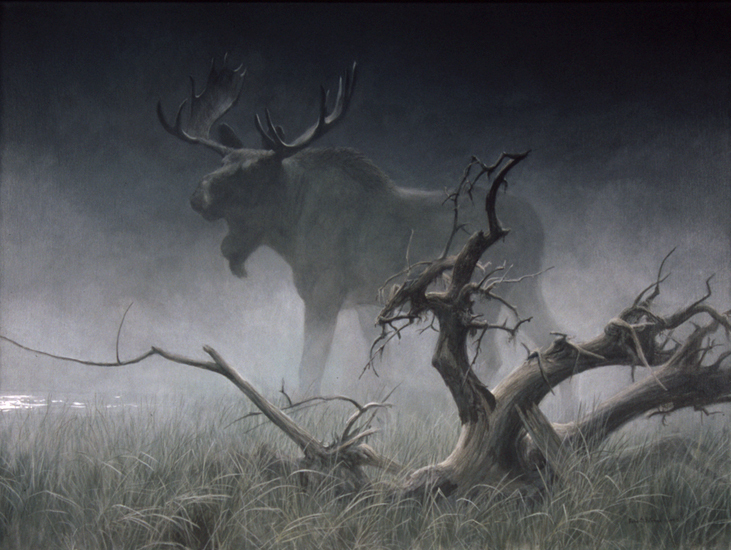 On a moonlit night, the bull moose pauses at a swampy lake. Because it is rutting season, he is very on edge. He turns suddenly, perhaps he has heard something. To me, the upturned spruce root echoes his antlers.